Need a Solution for Press Noise Reduction? What is Break Through Shock? How Do Shock Dampers Work? Please fill in the form below to receive a prompt quote. A tier 1 automotive supplier was experiencing a serious issue with reverse tonnage. 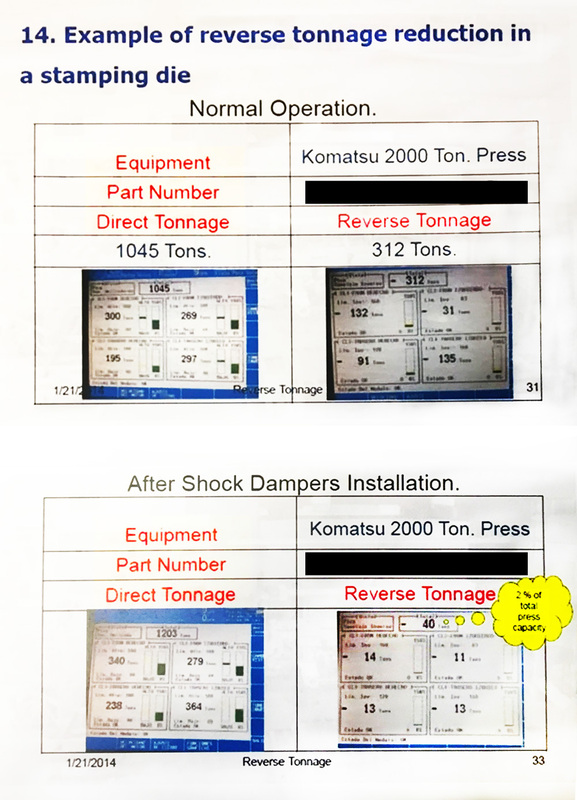 Their Komatsu 2000 ton press had reverse tonnage of 312 tons resulting in increased press wear and the looming possibility of down time. Unsure of what to do, the supplier reached out to W-Technologies to see what we could do. After a phone call and a technical assessment of the press’ operations we were able to come up with an effective solution. 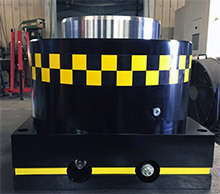 The press now has a total of 4 - H250 Hydraulic Shock Dampers. This resulted in an 87% decrease in reverse tonnage to only 40 tons, which is now only at 2% of total press capacity. If you are hoping for the same results with your press, contact W-technologies today! We’ll find a solution that will fit with your system. © 2019 W-Technologies, Inc. All Rights Reserved • 421 W 9th St. Mt Carmel, IL 62863 • 618-263-4385 • Website design and SEO provided by Upright Communications.